Eco-Libris blog: Newt Gingrich would probably not be interested in this prize, but how about you? Newt Gingrich would probably not be interested in this prize, but how about you? I read this morning on the New York Times on the attack ads on Newt Gingrich from other GOP Presidential candidates. 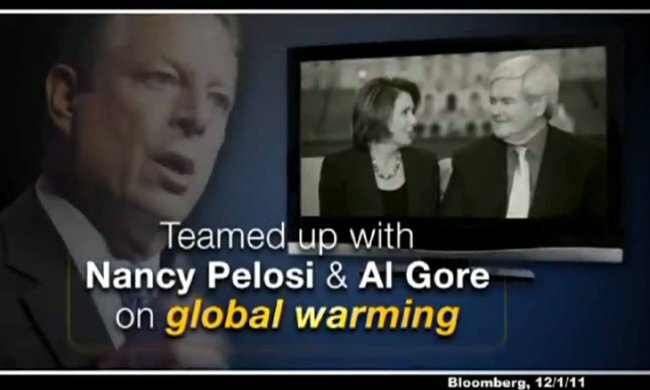 Among them (see picture) is a one showing Gingrich with Representative Nancy Pelosi, Democrat of California and the former House speaker, and Al Gore in the background, asks, “With allies like this, who needs the left?” (I guess they're referring to this "We Can Solve It" global warming ad campaign sponsored by Al Gore's Alliance for Climate Protection). 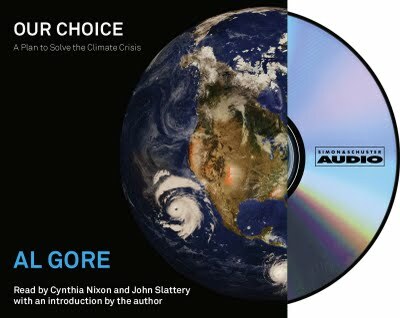 So my guess is that Newt Gingrich won't be interested in a signed copy of Al Gore's great audiobook "Our Choice", but how about you? I'd like to remind you that we're giving away two copies of this audiobook, one of them signed by Al Gore, courtesy of the publisher, Simon & Simon audio! This giveaway ends tomorrow (Wed, Dec 21) at 5:00 pm so you still have time! How you can win? Very simple. All you have to do is to retweet this post (or the review post) on twitter with the hashtag #ourchoice at the end of your tweet. We will have a raffle on Wednesday, December 21, 5:00PM EST between all the readers that will retweet by then. The winners will be announced the following day.